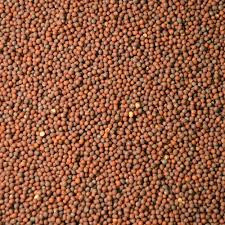 Brown mustard seed is the crop of Rabi. Rai has black and white color. 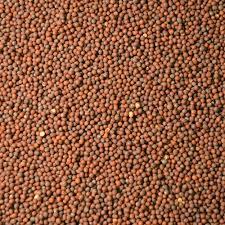 In India, black color seed is found. In western countries, white color seed is found. Black rai is very beneficial. The rai oil is very beneficial. If someone get evil eye then take rai in fist and roll over that person and put it in mango wood. If there is more impact of negative energy in the home then chant “Om Namah Shivay” and give 11 aahuti in fire. If you are suffering with stress then rub the palm and sole with rai oil. You can also grind the rai and mix it in water or ghee. Rub it on sole and palm. Grind the rai and mix it in cow ghee. Apply this mixture on skin. This improves the quality of skin. If Shani or Rahu or some other person creates problem then flow rai in running water for 91 days. Chant “Om Kem Ketave Namah” while flowing rai in water. If conflict increases in marital life then husband and wife can hide rai at any secluded place. Do this remedy for five Thursdays. If your expenses suddenly increase then take rai and camphor in one utensil. Put it in front of goddess Durga and chant “Om Dum Durgaya Namah: for 11 days. Put this rai at your business place. The rai oil is extremely beneficial in headache and injury pain. If you are suffering with cough then take two pinch of rai. Grind it and take with lukewarm water or honey. This avoids cough. Offer water and rai on Shivaling. Take bath with it. This avoids incurable disease.